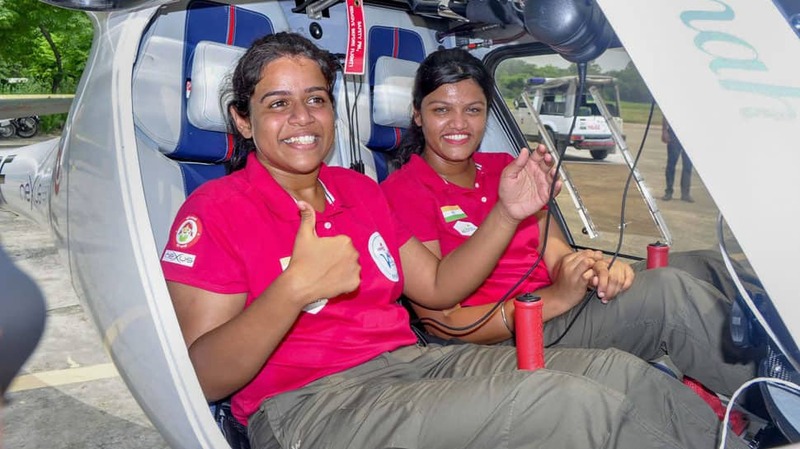 To spread awareness for "Beti Padhao, Beti Bachao" campaign, Captain Keithair Misquitta (23) and Captain Aarohi Pandit (22) took off in the light sports aircraft (LSA) named Mahi from Aviation Club in Patiala on Sunday. Both the pilots in their early twenties will be flying across the globe and complete their trip in 90 days. The pilots will cover around 23 countries across three continents. The expected distance to be covered is around 40,000 kms. The pilot duo will be supported by Nexus Flight Operations who will help them in ground handling and landing permissions. The aircraft, Mahi is a Pipistrel Sinus 912 and has a flight time of four hours. 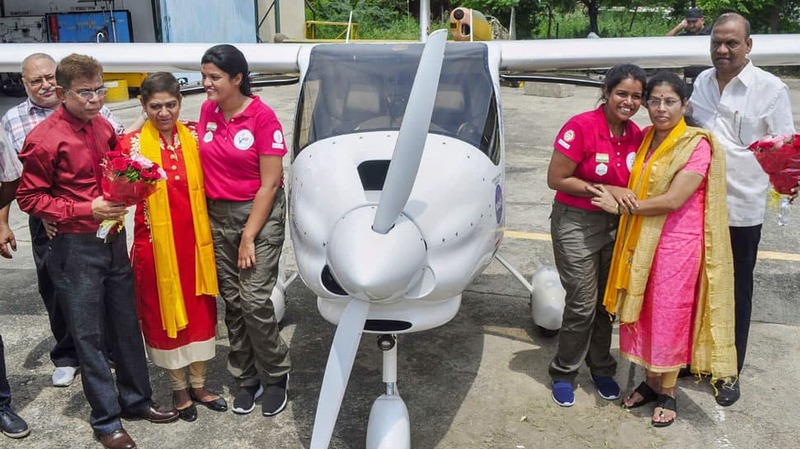 It is also reported that the young pilots are being helped by the Women and Child Welfare Ministry for flying and travel permissions. Their mission is to spread awareness on the “Beti Bachao, Beti Padhao” campaign for the underprivileged sections of the society. 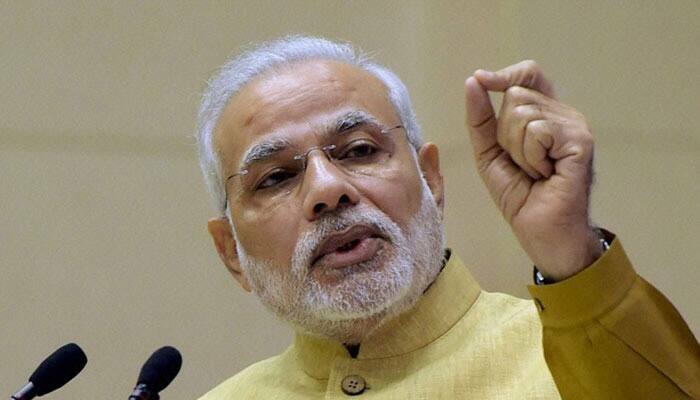 This will also help in sending out a message to the world that Indian women are leading the world. 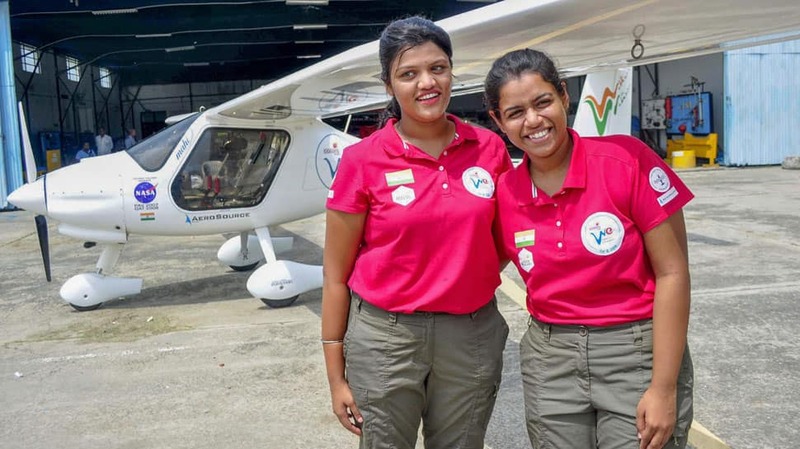 Both the pilots are set to create history by becoming the first woman pilot to fly around the world in LSA. It is reported that the two pilots will fly over countries like the US, Russia, Japan, Canada, Southeast Asia etc. Capt. Keithair Misquitta (right) and Capt. Aarohi Pandit being greeted by their parents before their world tour programme for awareness of "Beti Padhao, Beti Bachao" campaign. Capt. Keithair Misquitta (R) and Capt. 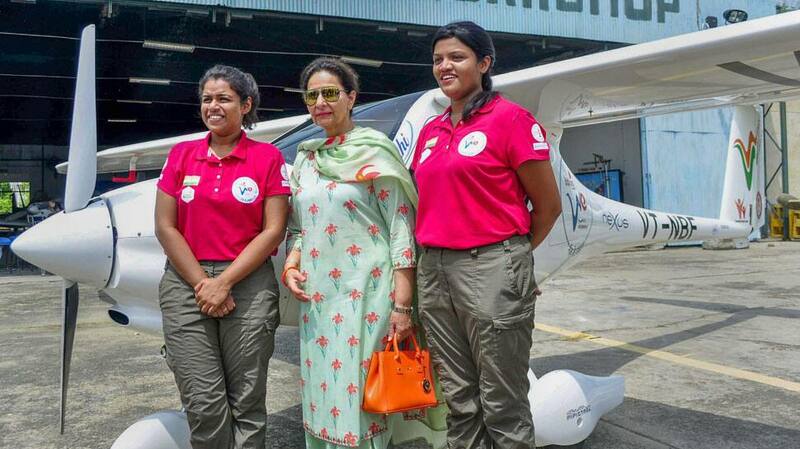 Aarohi Pandit before they leave for the world tour for awareness of "Beti Padhao, Beti Bachao" campaign. Thier journey will largely be affected by the weather conditions. The campaign "Beti Bachao, Beti Padhao" was launched by Prime Minister Narendra Modi in 2015 to generate awareness and improve the welfare services intended for girls.